There are very reliable air freight services from London and UK to Qatar which is on a daily basis with a very short transit time. Milky Way Logistics provides air freight services from UK London to Qatar for both commercial goods and personal effect. In order to send a commercial shipment from London or elsewhere in the UK to Qatar all destinations via air; any shipper would need to be a British registered business and should have an EORI number which is their unique number by which they are recognised by Her Majesty’s Custom and Revenue (HMRC) for custom formalities. Most of the air freight services offered and covered by Milky Way Logistics are via Heathrow airport which is the UK’s busiest airport and major International freight airport. For all air freight services, shipment is collected from the origin in the UK by road haulage and moved to Heathrow airport for its air freight journey. The air freight service from London to Qatar is reliable, fast, trackable and cost effective. For your shipment to arrive at its destination in Qatar, the quickest mode would be using air freight from London to Qatar which is via the airlines who offer cargo services. Every day there are many flights from London to Qatar which are carrying both passenger and cargo in this route. However, for oversized packages, there are also Freighter aircrafts that are dedicated for cargo services and can carry large size packages that are not accepted by normal flights however more expensive. Air freight service from London to Qatar, is recommended service for those who are moving out from UK to Qatar and need their personal belongings to move without hassles. If you have any targeted rate for your required air freight service, please let us know so we can work to match the rate. When we know the range of rate you are looking for, our expert air freight staff can always work and negotiate with the airline to match the price. However, our service is about quality. 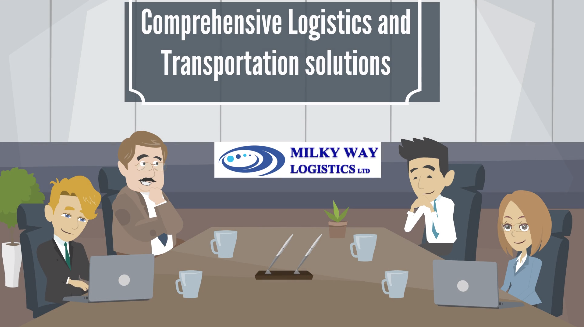 Milky Way Logistics assure to take care of the shipment from its origin up until delivering at its destination. This service is trackable from the moment it is collected from the shipper’s place until the delivery at destination. The process of air freight from London to Qatar, includes negotiation for the air freight, agreeing on the rates, receiving full details of the shipment including shippers address and commercial invoice and packing list, collection, custom clearance, security, flight booking, documentation, custom and export formalities and shipping out the freight and passing over the shipping documentation. For some destinations any import would be subject to a Certificate of Origin that is issued by the Chamber and this could be arranged upon request. For any air freight service from London to Qatar please compare our competitive rates and quality services and contact us at enquiries@mwll.co.uk and send details of your shipment to receive our same day quotation.